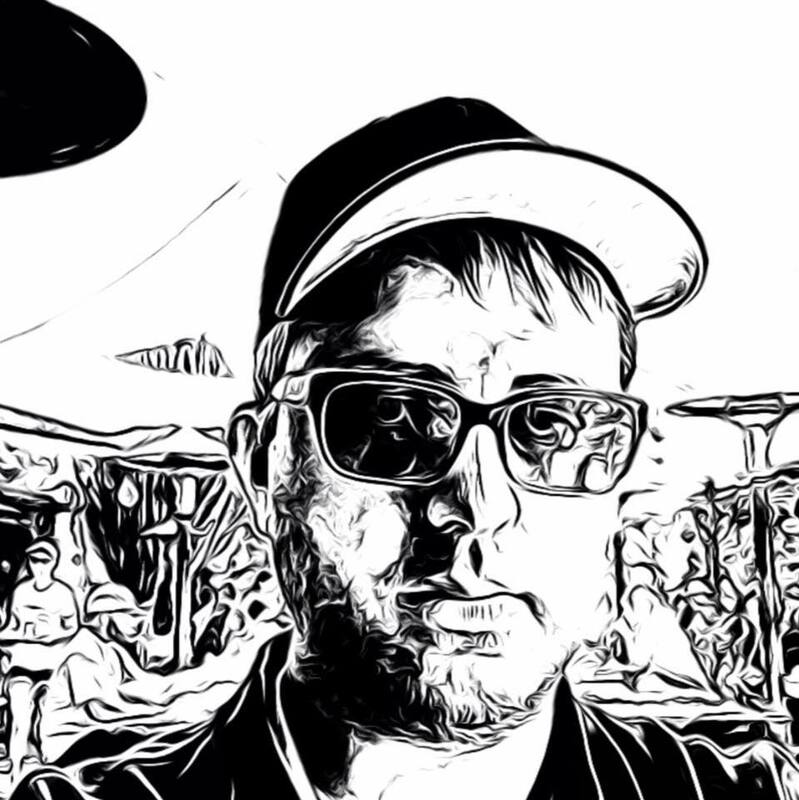 Are you interested in producing your own music? Who knows? There is a possibility that you’ll be able to become a world-renowned musician at some point in the future. In order to achieve your goals, you’ll need to be able to write music. On top of that, you’ll need equipment to record music in your own home studio. Believe it or not, you do not need much. However, you will need a good set of studio headphones. The best studio headphones can make a world of difference. With the right headphones, you’ll be able to hear all of the music and all of the fine details. Then, they’ll be able to tweak your music to perfection. Within this in-depth guide, you will learn all about studio headphones and you’ll find reviews for some of the best headphones for mixing and mastering on the market. When scouring through the market, you will quickly discover that your options are plentiful. It is definitely good that you have plenty of options at your disposal. However, too many options can make your decision immensely difficult. So, how can you ensure that you’ve spent your money wisely? First and foremost, you’ll want to take the factors below into consideration. First, you should know that there are two types of studio headphones. You can choose between closed-back headphones and open-back headphones. While they’re equal in many ways, they’re also different in various ways. In fact, one is good for recording, while the other one is better for mixing. Below, you will learn more about each type. If you’re ready to record your music, you’ll want to invest in a good pair of closed-back headphones. Closed back headphones are best for recording, because they’re far better in terms of sound isolation. These headphones will prevent the sound from spilling into your microphone. They can prevent your music from escaping into the world around you. Open-back headphones are best for mixing. Headphones that fit into this category tend to deliver better sound quality. This is exactly what you need when you’re trying to balance your tracks and tweak your sound. Open-back headphones ensure that the sound is allowed to enter your ear and flow outward. This helps to create a far more realistic experience. When you’re ready to begin mixing, you should invest in open-back headphones. With this in mind, all professional or avid music producers should have both. 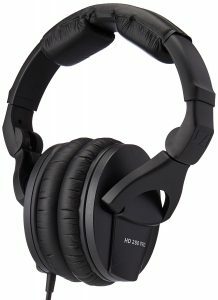 You should have a pair of closed-back headphones for recording and a pair of open-backed headphones for mixing. This ensures that you’ll be able to excel in every step of the music production process. Below, you will find a breakdown of the best headphones in both categories. Closed-back headphones are very distinctive. They feature cups, which have a hard enclosure. This helps to ensure that the sound produced is directed towards the user’s ears and not the outside world. When you wear a pair of closed-back headphones, you’ll feel like the music is coming from inside of your head. 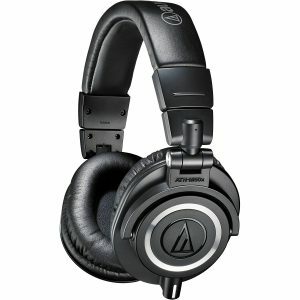 There are tons of advantages associated with closed-back headphones, but the most notable is the noise isolation. 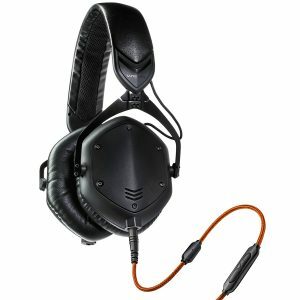 These headphones deliver superior noise isolation when compared to open-back headphones. This makes them ideal for recording music. So, what are the best closed-back headphones on the market? You’ll find out below. If you’re interested in saving money along the way, you’ll definitely want to consider checking out the Sennheiser HD 280 Pro. This German company has established itself as one of the leaders in the headphones industry. The company has been producing high-quality headphones since 1945. They know how to keep their customers entirely satisfied. 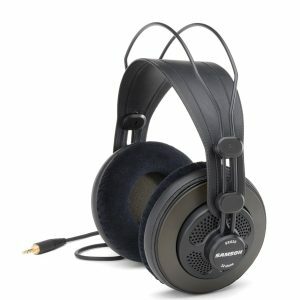 So, what makes the HD 280 Pro Headphones one of the best closed-back headphones on the market? You’re about to find out. These headphones deliver a great sound and they’re fairly comfortable. However, you should know that the headband can clamp down with a pretty good amount of force. Therefore, they might be a little too tight for some people. Nevertheless, they have a lot of cushioning and padding. 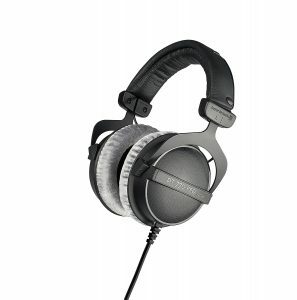 Therefore, the Sennheiser HD 280 Pro Headphones will be pretty comfortable for most users. 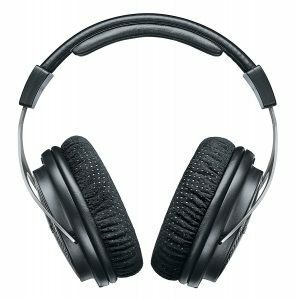 After a week or two of use, the headphones will loosen up and become much more comfortable. More importantly, these headphones will deliver big where it matters the most. For instance, they’re capable of delivering an impressive sound quality. They’re also great in terms of isolation. This combination ensures that you’ll be able to focus entirely on your music. Even if you’re trying to record in a noisy house, you’ll have no trouble listening to the fine details. This ensures that your music will come out perfect! Truly, the Sennheiser HD 280 Pro is great for consumers that want to save money. They might be cheap, but they’ll deliver a great performance. On top of that, they’re pretty comfortable too. For the price, they’ll make a good investment for any music producer. With all the American headphones available on the market, you wouldn’t think that this French Company would make such a big impact. However, the Focal Spirit Professional Company has completely taken the world by surprise with their Focal Spirit Professional Headphones. When you really look at the critical listening qualities offered, it truly is easy understand why more and more people are opting for these headphones. Not only do these headphones come with adjustable earcups, but also the earcups can actually be adjusted at different angles. This means that users will be able to achieve the most comfortable fit in any situation. When you combine this with the memory foam leather earcups, you are truly looking at one of the most versatile and comfortable headphones available today. 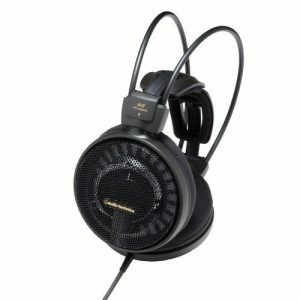 You really wouldn’t expect a French Company to break into the American headphones market, but when you look at everything that the Focal Spirit Professional Headphones has to offer, it is truly easy to understand why so many people prefer these headphones. When it comes to quality construction and excellent sound quality, you simply cannot overlook the Shure SRH1540 Headphones. If you want your headphones to look as good as they sound, you need to consider investing in the Shure SRH1540 Headphones. With their carbon-fiber earcup design, these headphones not only provide comfort, but they deliver impressive aesthetics that are unmatched on the market. When it comes to leather earcups, overheating and sweating are two problems that are extremely common. These problems not only cause discomfort, but they also cause a stench that can run you out of the house. Fortunately, when you invest in the Shure SRH1540 Headphones, this is something that you never have to worry about. These headphones have tiny holes installed in the earcups. These holes provide breathability and prevent overheating. When you combine this with the extremely lightweight design, you are truly looking at one comfortable set of headphones that is capable of standing up to the toughest challenges. If you are looking for a set of headphones that feature the highest quality build and are capable of providing excellent sound quality, you simply cannot overlook the Shure SRH1540 Headphones. Are you looking for a pair of headphones that won’t break the bank? If so, you should look no further than the Audio-Technica ATH-M50x. These headphones might be affordable, but they’ll deliver a big bang for your buck. These headphones produce a surprisingly good sound for the low price. The sound delivered is accurate across all frequencies. Therefore, this makes the ATH-M50x Headphones a good choice for music producers. Producing music can be immensely difficult and very tedious. In fact, you’ll likely find yourself sitting in front of your computer for house on end. Therefore, you’ll need headphones that are comfortable and durable. This is exactly what you’re going to get with the Audio-Technica ATH-M50x. These headphones are surprisingly durable and incredibly comfortable. You could wear them for hours on end, without experiencing any discomfort. Plus, they’ll last many, many years. This makes them well worth the investment. At the end of the day, the Audio-Technica ATH-M50x Headphones are great, but they’re not perfect. The noise isolation isn’t the best. Nevertheless, these headphones are pretty inexpensive. Truly, they’re right on target for the money. 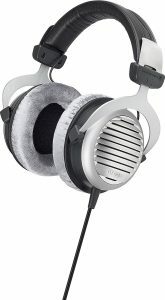 If you want good headphones for recording purposes, you should look no further. These headphones are produced by a German company. Beyerdynamic has been in the game since 1924. In fact, this is one of the oldest companies in the industry. They’ve proven time and time again that they’re capable of succeeding where others have failed. The DT 770 Pro Headphones are incredibly well rounded. They’re excellent in numerous categories. 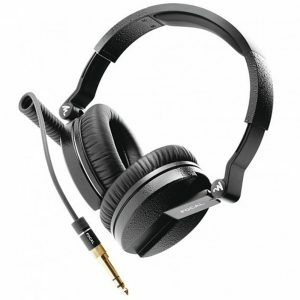 They’re comfortable, durable and they deliver an excellent sound quality, which makes them great for music recording. This headphone features a single-sided cable. This might seem basic, but it can make a big difference. Thanks to this feature, you’ll be able to take off and put on the headphones frequently without any troubles. The cable will never get in the way. This will speed up your performance and increase your productivity. Also, the cable is very lengthy. This gives you plenty of freedom to move around, while producing your music. Another great thing about the Beyerdynamic DT 770 Pro is the sound isolation. These closed headphones are capable of blocking out ambient noises. When you want to focus solely on your music, these headphones will do the trick. When it comes down to it, the Beyerdynamic DT 770 Pro Headphones aren’t perfect. Nevertheless, they still come pretty close. They deliver an amazing sound quality and that is what matters the most. Just remember that they do not fold and the cord is not detachable. Still, you’ll agree that they’re well worth the investment. The V-Moda Crossfade M-100 is not only packed with a variety of different features, but they come equipped with durability unlike anything else that you will find on the market. The V-Moda Crossfade M-100 is equipped with a robust metal frame and steel reinforced headband that can provide complete durability. However, don’t let the robust design fool you, because these headphones are completely comfortable, even after hours and hours of use. You can literally flatten these headphones over and over and they will return to their normal shape. Earcups are without a doubt one of the most important components on any headphone. That is why the V-Moda Crossfade M-100 comes with a memory foam earcup. Not only will the leather design counteract the clamping force of the headphones, but also the memory foam technology will ensure that the headphones remember the contour of your ears. Simply, place the headphones on your ears and the memory foam technology will automatically remember your last adjustments, so you don’t have to spend hours trying to adjust the headphones. If you are looking for maximum features and durability, you simply will not find anything better on the market than the V-Moda Crossfade M-100 Headphones. Bose is undoubtedly one of the most trusted names in the industry. The company is highly respected by consumers and critics alike. 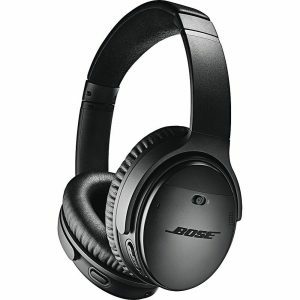 There is no doubt that the QuietComfort 35 Wireless Headphones from Bose will leave you completely satisfied. These headphones are the best in terms of noise cancellation. The headphones are good for noise cancellation in both directions. 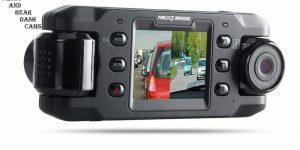 They feature a noise rejecting dual microphone system, so you’ll be able to answer phones calls without any interrupts. Plus, the noise cancellation makes these headphones perfect for studio work. In the studio, there is a good chance that you’re going to be moving around a lot. You cannot allow the cord to hold you back. This is why you need a pair of wireless headphones. The Bose Quiet Comfort 35 Headphones satisfy in this category. These headphones offer 20 hours of wireless usage on a single charge. You can also enjoy 40 hours of use with the wire. The freedom provided from this headphone is truly unparalleled. There is a chance that you’ll need to turn down the volume at some point or another. With lower quality headphones, this will likely decrease the sound quality. This is not a problem with the Bose QuietComfort 35 Wireless Headphones. These headphones are equipped with Volume-Optimized EQ. This ensures that your music will always sound its best regardless of the audio volume. Even if you’re in a crowded room with the volume turned low, these headphones will deliver an excellent sound quality. It is really difficult to lose with the Bose Quiet Comfort 35 Headphones. They’re much more comfortable than the alternatives. They’re a little costly, but most users will agree that they’re well worth the investment. They deliver wireless usage and the sound quality is amazing. Plus, the sound isolation is unbeatable. Be sure to check out the Bose Quiet Comfort 35 Headphones today! If you are in the market for a set of closed back headphones, you already know that sounds isolation is just as important as sound quality. And, this is why the Plantronics Backbeat Pro 2 has to be included on this list. Not only is this an American based company, but also their headsets offer some of the best sound isolation qualities available on the market. However, these are not the only qualities that these headphones bring to the table. Other perks associated with these headphones will be provided below. The first thing that you will notice is that these headphones come in two different color schemes. First, the tan style brings a “like it” or “hate it” element to the table. Not every individual out there has the same preference and the ability to choose between two different color schemes really provides the user with the freedom to choose what they prefer. If you are used to most wireless headphones, you probably already know that their battery life isn’t much to be bragged about. Fortunately, that isn’t the case when you invest in the Plantronics Backbeat Pro 2. In fact, the battery life is capable of providing users with 24 hours of usage. This means that you can literally listen to these headphones for 24 hours before they need to be charged. If sound isolation is more important than sound quality, you need to consider investing in the Plantronics Backbeat Pro 2. Not only is this an American based company, but they also offer sound isolation qualities that are unlike anything else on the market. Sony is one of the leading developers of electronics. The company is best known for their televisions and video games consoles. Nevertheless, their headphones are pretty amazing too. 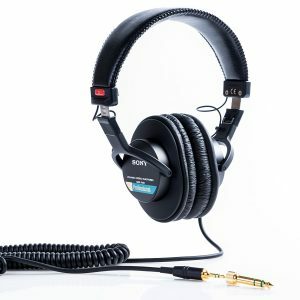 In fact, the Sony MDR-7506 Headphones just happen to be one of the best closed-back headphones on the market. These headphones might be affordable, but they’ll produce an amazing sound quality that will leave you totally satisfied. These headphones are solidly constructed, so you can guarantee that they’ll last a lifetime. Additional perks can be found below for your consideration. These headphones are surprisingly affordable. Nevertheless, they’ll deliver a great performance. For starters, the noise isolation is superior. It is difficult to find a pair of headphones that can deliver this level of noise isolation. On top of that, the sound quality is impressive as well. If you want crystal clear, accurate sounds, this headphone is right for you. The Sony MDR-7506 Headphones are pretty great. They might have a con or two, but they’re still great for the price. If you want the best sound isolation and amazing sound quality, you cannot lose with these headphones. Be sure to check them out for yourself right now! It doesn’t matter if you know everything there is to know about headphones or you know absolutely nothing, there is a good chance that you have heard about Beats headphones. And, that is because they are a mainstream brand that has become known for their quality, durability, and dependability. With that being said, it only makes sense that we end the list with the Beats Studio Wireless Headphones, but don’t let that fool you, because these headphones are without a doubt some of the most durable and reliable headphones on the market. The first thing you have to note about these headphones is the design. Not only is it completely impressive, but it is also sleek. The headband alone offers a thin and rigid fit. Along with this, the earcups are specifically designed with padding that provides comfort and reliability after hours and hours of use. The headband is textured, so that it prevents sticking even after the most intense gaming sessions. When you combine this with the lightweight design of 260 grams, you are truly looking at one amazing headset that can provide the utmost comfort and reliability. Most wireless headsets provide a sound that is unworthy of the user, but that is not the case with the Beats Studio Wireless Headphones. The sound is actually pretty decent, as much of the emphasis is placed on the bass. 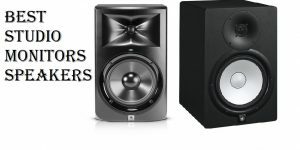 The quality sound not only produces precision in the mid and high areas, but it is actually quite balanced, which brings you an overall quality sound that is worthy of your money. 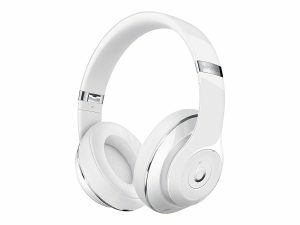 Beats headphones have been on the market for a long time and they have become well known for their quality and dependability. The Beats Studio Wireless Headset is no different, as it offers the same quality and dependability that has become to be expected of the brand. Closed-back headphones are great for some purposes. However, open-back headphones are better for mixing music. These headphones are open to ensure that the sound is transmitted towards your ear and to the outside world. When compared to the closed-back alternatives, open-back headphones tend to deliver better sound quality and a better sound stage. Open-back headphones are better for recording instruments without any microphone. They’re also best for mixing. What are the best open-back headphones on the market? 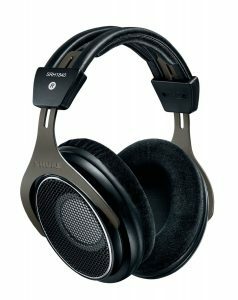 Below, you will find reviews for some of the best open-back headphones for 2018. Tired of dealing with an underperforming headphone? If so, it may be time to consider investing in the Samson SR850. This headphone is designed for music lovers on a budget. The semi-open-back design is great for mixing music. The headphone consists of premium-grade components and state-of-the-art technologies, which work together to deliver perfection. The SR850 is designed to offer the same qualities as an expensive brand. However, you should not expect to receive the same benefits, but all in all, this headphone will not fail to perform accordingly. The 10Hz-30kHz-frequency response is general for such headphones. To ensure the perfect fit, the Samson SR850 Headphone is equipped with a self-adjusting headband. Just place the headphone on your head and let it create the perfect fit. This eliminates the need for users to make the necessary adjustments, giving them time to focus on the volume. The included 1/8- to ¼-inch adapter is gold plated to ensure a secure connection. 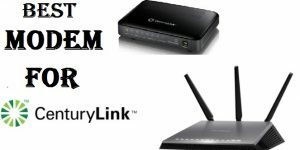 This design not only eliminates the risk of a faulty connection, but also ensures durability and longevity. The over-ear design ensures comfort for extended periods. The earcups will fit perfectly over your ears and not put any pressure on your lobes. You will be able to wear them for hours, without feeling any discomfort. The Samson SR850 Semi-Open-Back Headphone is designed to offer affordability and quality sound. The headphone is great for mixing music and way better than other similar brands. The suspension system appears to be tight and stiff, the headphone is still comfortable. The Sennheiser HD 600 Headphones are right on target in terms of price. They’re comfortable, durable and more than capable of delivering an impressive sound quality. The headphones feature lightweight aluminum voice coils. This delivers impressive transient response. They also feature a detachable cable. This ensures that you’ll have plenty of freedom in the studio. If you want beautiful aesthetics and maximum versatility, you really cannot lose with the Sennheiser HD 600 Headphones. One of the best features of the Sennheiser HD 600 Headphones is the warranty. These headphones are protected by a 2-year international warranty. Should anything go wrong with these headphones in the future, you can rest assured knowing that the company will fix the problem, without putting up a fight. Throw in the excellent audio quality and these headphones are an excellent bargain. All in all, the Sennheiser HD 500 Open Back Headphone is pretty good. It isn’t perfect, but it still comes pretty close. For the price, you will agree that this headphone is well worth the price. It’ll deliver an impressive sound quality that you cannot ignore. Be sure to check it out for yourself as soon as possible. 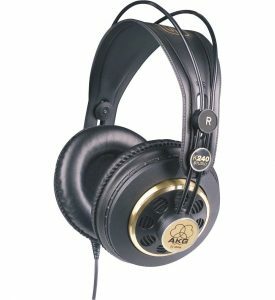 If you’re looking for the cheapest open headphones, you need to check out the AKG K240. These headphones are incredibly inexpensive, yet they’ll still deliver an exceptional performance. They’re equipped with a 3m replaceable cable. This ensures that you’ll be able to continue using these headphones, even if something happens to the cable. These are professional studio headphones, so you can guarantee that the audio quality will be impressive and completely accurate. 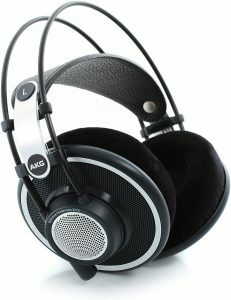 One of the best features of the AKG K240 Headphone is the self-adjusting headband. This is an impressive feature that guarantees you get a perfect fit each and every time. Just put the headphones on your head and sit a second. Within seconds, the headphone will adjust to the contours of your head. The AKG K240 Headphones aren’t perfect, but they’re great for the low price. If you’re working with a limited budget, you’ll be happy with these headphones. They’ll deliver a great performance, without breaking the bank. The Sennheiser HD 598 Headphones are spectacular in many categories. The audiophile-grade headphones will be sure to satisfy pretty much any music lover. On top of that, the headphones are available in two different colors. They’ll look amazing regardless of which color you choose. Plus, you’ll be able to choose between two cables. You can choose from 3 meters and 1.2 meters. This ensures that you’ll get the freedom that you need. The sound quality is great, but it is the warranty that really seals the deal. 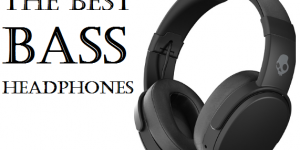 These headphones deliver the best in all categories. They’re durable, accurate and very comfortable. Plus, you’ll receive a 2-year warranty. This makes these headphones one of the best investments you could ever make. The Sennheiser HD 598 Over-The-Ear Headphone delivers exceptional music, with one exception. The bass needs improvement, but overall the soundstage is great. The earcups offer the perfect fit, plus they help keep the sound in, so others are not hindered by your music. 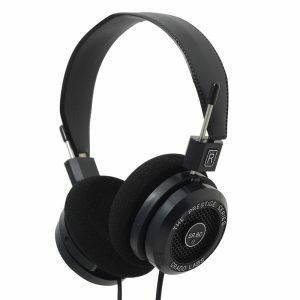 If you are looking for a set of headphones that provides extreme sound quality and comfort, look no further than the AKG Pro Audio K702 Channel Headphones. This Austrian Company not only provides leather earbuds, but they provide a metal headband that provides quality that is unmatched in the headphones market. When you combine these features with the detachable cable, these headphones are without a doubt one of the most durable and versatile available on the market. How many times have you worn a pair of earphones for two hours and they just starting hurting your ears and head right away? Probably, more times than you would like to mention. Fortunately, that is something you won’t have to worry about when you invest in the AKG k702 Headphones thanks to the 3D foam earpads. These earpads not only make thee AKG k702 Headphones extremely comfortable, but they actually adapt to your ears to provide an optimum fit. If sound quality and comfort are what you are looking for in your headphones, you have to consider investing in the AKG k702 Headphones. With their many features and durability, this is without a doubt one of the most durable and versatile headphones available on the market. When it comes to the most basic headphones that include everything you could ever want, you have to consider the Grado Sr80e Headphones. These headphones might not offer any frills, but when it comes to sound quality, you will not find anything available on the market capable of matching the sounds quality of these headphones. When it comes to the Grado Sr80e Headphones, the first thing that has to be noted is the improved bass resonance. This not only enhances the overall detail of the headphones, but it greatly improves the overall sound of these headphones. If you are truly looking for the best sounding headphones that money can provide, you have to consider the Grado Sr80e Headphones. When you combine this with the vented diaphragm, no resonant air chamber, and standard copper voice coil wire, you are truly looking at one headset that can provide quality and durability. If you are looking for quality in a basic package, you cannot beat the Grado Sr80e Headphones. The Sennheiser HD 800S Reference Headphone is ideal for mixing music. The craftsmanship is superior and the interior components are premium-grade, as well as the integrated technologies. The 56mm Ring radiator transducers are capable of delivering a powerful sound that is balance and clear. To reduce unwanted frequency response peaks, Sennheiser integrated its HD800S with innovated absorber technology, which works perfectly every time. Not only are the transducers embedded in the HD 800S Headphone the largest drivers ever, but also they are angled to deliver an open, wide spatial presentation. This design is very unique, in that it has never been applied to any other headphone. When you put on these headphones, you are guaranteed to receive full sound, without distortion. The Sennheiser HD 800S comes with two capacitance cables, including one with a 6.3mm connector and another with 4-pin XLR balanced. This will eliminate the need to go out and make an additional purchase. The HD 800S high-end headphone is perfect for people who take sound seriously. While sound is subjective, this headphone will without a doubt please even the pickiest audiophile. The design is to ensure 100 percent satisfaction, comfort, durability and longevity. Nothing says comfort like the HD 800 Headphone’s earcups, which are designed from microfiber. In addition to this quality material, the earcups are handmade to ensure durability and longevity. The earcups will fit your ears perfectly, while providing sheer comfort for extended periods. The Sennheiser Hd800S Headphone is capable of delivering an amazing sound. The headphone will definitely please, allowing you to hear every music nuance clearly. The large 56mm Ring transducers will ensure a full, rich sound, with decreased distortion. Shure is highly known for designing and manufacturing high-quality headphones. The SRH1840 is no different, as its craftsmanship is superb. The interior components combined with state-of-the-art technologies work together to deliver a crisp, clear sound like no other. The earcup design is very unique, in that it consists of stainless steel grills and an alloy yoke constructed out of aircraft-grade aluminum alloy. The Shure SRH1840 delivers a powerful, accurate bass, making it perfect for all music genres. The 40mm neodymium drivers are designed to deliver unparalleled acoustic performance, with an accurate, high-end bass. Regardless, of your choice of music, you will find the SRH1840 suitable for your needs and preferences. If you are familiar with headphones, you already know a heavy design will cause discomfort. Well, that will never be an issue with the Shure SRH1840, because they are constructed from lightweight materials, including aluminum alloy. However, do not be fooled by the lightweight design, because the headphone is still capable of keeping up with top brands. There is nothing worse than dealing with an uncomfortable headphone headband. Not only will the band cause extreme discomfort, but also it will cause headaches and pains. To eliminate these risks, Shure created its SRH1840 with a padded headband. The headband will feel comfortable, even when wearing for longer periods. The Shure SRH1840 Professional Open Back Headphone is ideal for most music lovers who do not care about bass. The headphone is designed to offer durability, a powerful sound and longevity. They will provide a remarkable improvement from your existing headphone, regardless of the brand. The Beyerdynamic DT 990 Headphone is ideal for mixing, mastering and editing music. The headphone consists of premium-grade components and innovative technologies. These features work together to deliver a studio-grade sound like no other. The headband is padded to ensure comfort for extended periods, plus the aesthetics are very pleasing. The padded earcups are covered with velour to ensure superior comfort. In fact, the ears will mold to and never put pressure on your ear lobes. You will be able to wear them for hours and never experience overheating or discomfort. The Beyerdynamic DT 990 Headphone is extremely comfortable. Plus, it will deliver a clear midrange and powerful bass. The sub bass also extends well and does not become distorted, when you go lower. The sounds will keep their punch, even after months of use. Are you on the market for an open-back headphone capable of delivering a powerful studio-grade sound? If so, do not look any further than the Audio Technica ATH-AD900X. This headphone is designed from premium-grade materials to ensure durability and longevity. The interior components and state-of-the-art technologies integrated into the headphone work together to deliver perfection. If you are like most avid music fans, you probably like to listen to your music at the maximum volume. With this said, some headphones will not permit users to do this, because they lack the capability of eliminating interference. A particular interference that will reduce the quality of high-volume music is vibration. To ensure its customers never have to deal with this issue, Audio Technica embedded a mechanism in its ATH-AD900X that combats vibration. The 3D wing support housing will stop vibration, before it has an opportunity to interfere with your tunes. All audiophiles expect nothing but perfection from their headphones. However, this is not always what they receive. To ensure superior sound reproduction, the ATH-AD900X is integrated with CCAW voice coils. These coils, along with the large-aperture 53mm drivers will ensure superior sound reproduction like no other. To ensure the perfect fit and extended comfort, the ATH-AD900X comes equipped with an adjustable headband. As mentioned above, the headband is padded, but sometimes this is not enough to guarantee comfort. When you place the ATH-AD900X on your head, you simply need to adjust the headband to create the perfect fit. This fit, combined with the extra padding will ensure comfort for extended periods. Another key feature of the ATH-AD900X is its lightweight design. The casing is constructed from aluminum, which is lightweight and extremely durable. A lightweight design is a necessity for comfort. 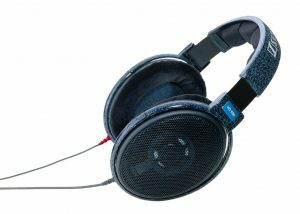 The ATH-AD900X is very aesthetically pleasing, with its large earcups, brand logos, honeycomb grill and durable cable. In fact, the headphone will draw attention from all angles, making you the talk of the town. 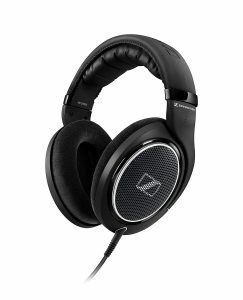 The Audio Technica ATH-AD900X Open-Back Headphone is ideal for most music lovers. The headphone is designed to endure the test of time, while delivering a powerful, crisp sound that will be music to your ears. When attempting to invest in a pair of studio headphones, you’ll need to consider a wide range of factors. Failing to do so will result in your wasting your money. So, what should you consider before spending your money? You’ll find out in the comprehensive buying guide below. The frequency response is one of the most important things to consider when choosing headphones. This will tell you what type of sound the headphone is capable of producing. Generally, you should opt for at least 20 to 20,000 Hz, since this is the audible frequency for most individuals. This range will cover bass, mids and highs. 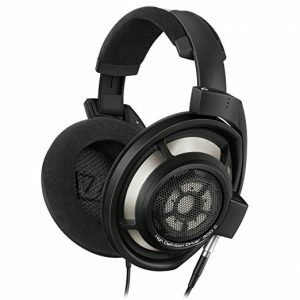 There are some headphones that offer a large range, but 20 to 20,000 Hz should suffice. You’ll definitely want to invest in a pair of headphones with some type of noise cancellation. There are two options to choose from. They include active and passive noise cancellation. They’ll be explored in greater depth below. Active noise cancelling headphones actually produce inverse sound waves. This helps to cancel out the sound. These headphones will cancel out the sound around you to ensure that you’re able to focus entirely on the music that you’re listening to at the given time. Passive noise cancellation is far different. This type of noise cancellation actually blocks ambient noise. All headphones will offer some type of passive noise cancellation. 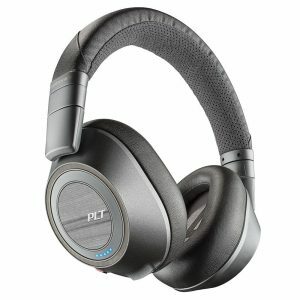 Headphones with excellent passive noise cancellation are good for listening to music in loud environments. You’ll also want to consider investing in a pair of headphones with THD or total harmonic distortion. Higher audio volumes will result in faster diaphragm vibration. When the volumes get too high, THD occurs, because the diaphragm cannot vibrate quickly enough. When looking at headphones, you will see that the THD figure is represented with a percentage. It is in your best interest to choose headphones with the lowest number possible. When it comes to studio headphones, the sensitivity is usually presented as sound pressure level of SPL. This figure will be provided in the form of pressure level per milliwatt. In basic terms, this tells you exactly how loud the headphones are capable of going. The average range is right around 80 to 120 dB SPL/mW. In general, 80 dB is the average sound of a dishwater. It is best to avoid choosing anything over 80 dB, because anything louder could result in hearing loss. You’ll also need to consider the drivers of the headphones. The drivers can make a world of difference. Remembers that drivers are made up of voice coils, a diaphragm and magnets. They work by transforming an electric signal into sound pressure. In return, the pressure vibrates the diaphragm and causes a sound to be produced. In this category, you should always opt for a larger diaphragm. A larger diaphragm will deliver better sound and a deeper bass. It is also pertinent to carefully analyze the impedance of the headphones. This can be a pretty complicated term. To make things easier, you should understand that the impedance means the amount of power that is needed to deliver a specific audio volume. With a lower impedance, less power is needed. A higher impedance means that more power is needed to achieve the desired volume. If you do not want to invest in an amplifier, you should choose a lower impedance. Truly, there are thousands of headphones available to you. This can make the decision process incredibly difficult. Just remember that not all headphones are suitable for all purposes. If you want to create music in your own home studio, you need headphones that can deliver excellent sound quality with extreme accuracy. This is why you should refer to the information provided above. As long as you choose one of the headphones above, there is a good chance that you’ll be totally satisfied with your investment. Nevertheless, you should take your time, consider your options and finally make your decision!